DW1-31 Wheel Drilling JumboFeatures of DW1-31 Wheel Drilling Jumbo: 1. 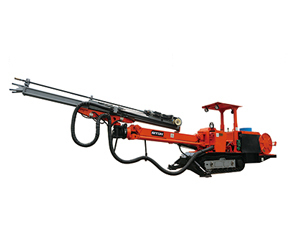 Hydraulic Drill Boom. 1) High Efficiency: Unique translation design of drill boom improves accuracy and parallelism of borehole spacing, which achieves accurate and quick positioning. 2) Flexible Movement: Rotary motor in the front of upper arm makes the whole feed mechanism move flexibly (± 180°). 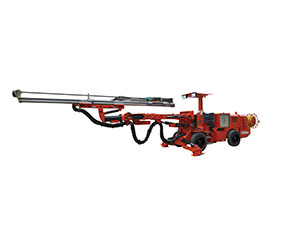 DW2-50 Wheel Double Booms Drilling Jumbo Special design heavy duty with double tripod suspension for accurate hydraulic parallel holding in all directions. The rotary actuators is located in front of the boom, it can make the feed mechanism to rotary ±180 degree. The heavy duty slider with high bending and torsion resi- stance, the working life is longer. The surface of slider covered by stainless steel sheaf. 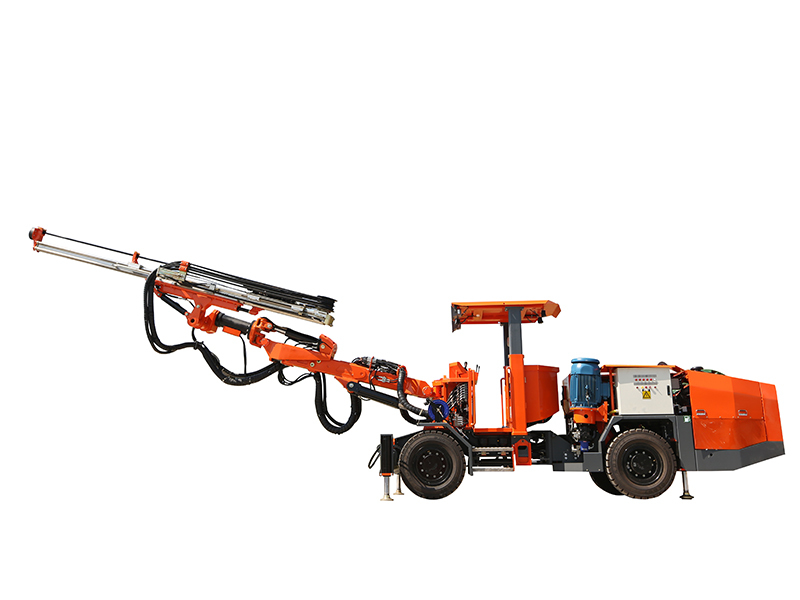 DW1-24 Wheel Single Boom Drilling JumboIntroduction of DW1-24 Wheel Single Boom Drilling Jumbo: 1) DW1-24 Wheel Single Boom Drilling Jumbo can apply to the excavation drilling in the mining, hydropower tunnel, railway, road and other underground tunnels. If's full hydraulic drilling and traveling with diesel engine. 2) The hydraulic parallel holding can make sure the hole depth and space between, and improve the quality of blasting. DWE1-31N Wheel Single Boom Drilling Jumbo1. 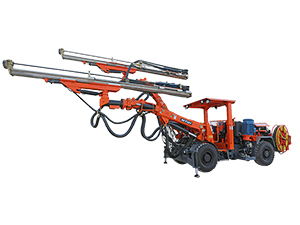 Hydraulic boom Hydraulic boom with double tripod suspension for accurate hydraulic parallel holding in all directions; Direct, fast, easy operation, good accuracy and accurate positioning between holes. American HELAC rotary actuators with high rotation torque, high load capacity, no position shift, compact, good anti-pollution capacity, heavy-duty etc. DW1-90 Single Boom Drilling Jumbo1. Hydraulic boom Hydraulic boom with double tripod suspension for accurate hydraulic parallel holding in all directions; Direct, fast, easy operation, good accuracy and accurate positioning between holes; American HELAC rotary actuators with high rotation torque, high load capacity, no position shift, compact, good anti-pollution capacity, heavy-duty etc. DW2-100 Wheel Drilling Jumbo1. 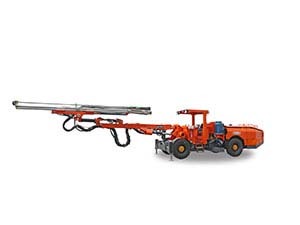 Hydraulic boom Hydraulic boom with double tripod suspension for accurate hydraulic parallel holding in all directions; Direct, fast, Easy operation, good accuracy and accurate positioning between holes. Telescopic boom make up of the angle when drilling the hole of bottom and top, thus no blind angle left. America HELAC rotary actuators with high rotation torque, high load capacity, no position shift, Compact, good anti-pollution capacity, Heavy-duty and etc. 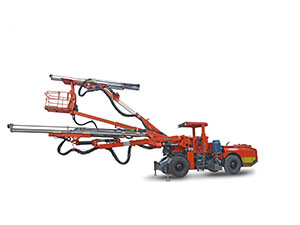 Level Surface Drilling JumboLevel Surface Drilling Jumbo called single boom underground drilling jumbo, is mainly applied in tunneling construction of mining, metallurgy, water and electricity, railway, highway engineering, etc. It can work on surface of the tunnel, roof, side and floor. The single boom jumbo can not only drill the blast hole, but also drill the bolt hole easily. 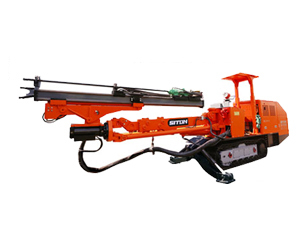 Big Slope Drilling JumboBig Slope Drilling Jumbo is equipment for drilling tunnels and mines. Combined with borehole and blasting, DT1-14D tunnel jumbo drill machines can cooperate well with muck loaders and realize high working efficiency. At the same time, working condition for workers is greatly improved. 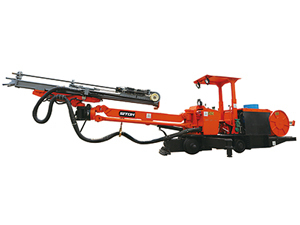 This jumbo is constituted by drill boom, rock drill, hydraulic system, and so on. 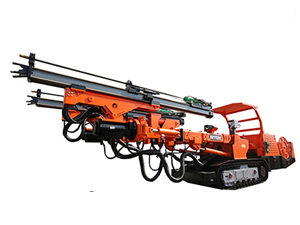 Dual Power Drilling Jumbo(1) DT2-35D Dual Power Drilling Jumbo adopts explosion proof design, can apply to the excavation drilling in the coal mine, metal mine, hydropower tunnel and other underground tunnels. It's Max. coverage area is 7.3 x 5.5 m (W x H) in the tunnel. (2) The hydraulic parallel holding can make sure the hole depth and space between, and improve the quality of blasting.